The color options are Gray, Black or White. 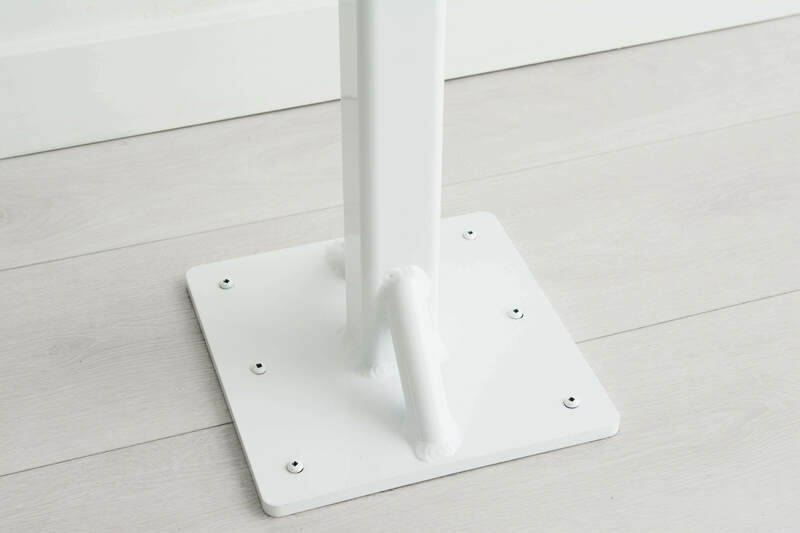 Space the Floor Mount Fitness Brackets 4’ apart for maximum stability. 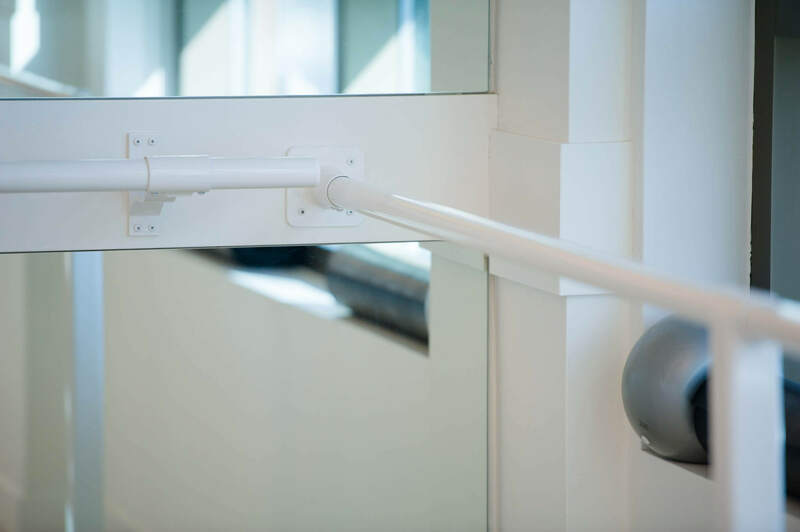 Do you have a space where wall mount brackets and barres cannot be installed? 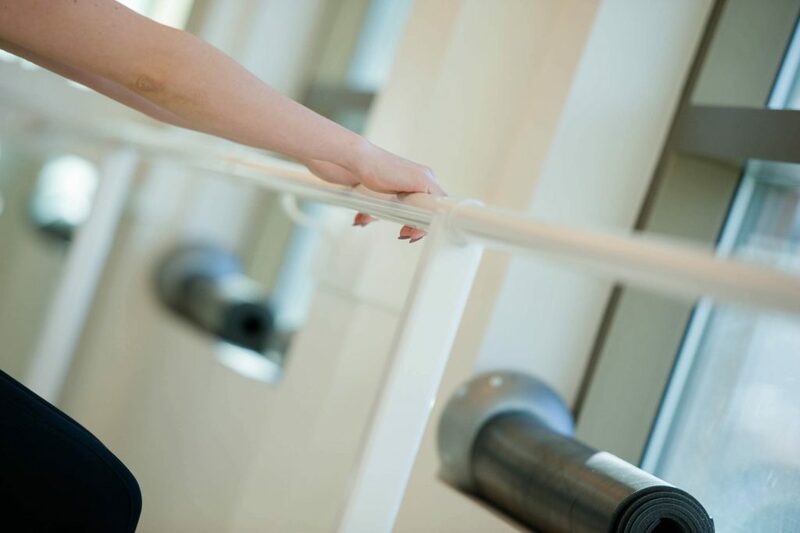 Then consider our custom-made Floor Mount Fitness Brackets and barres! 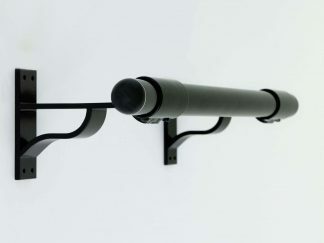 Easily mounted in front of windows, mirrors and other areas that cannot have wall mount brackets. The Floor Mount Fitness Brackets are braced at the bottom for extra stability. 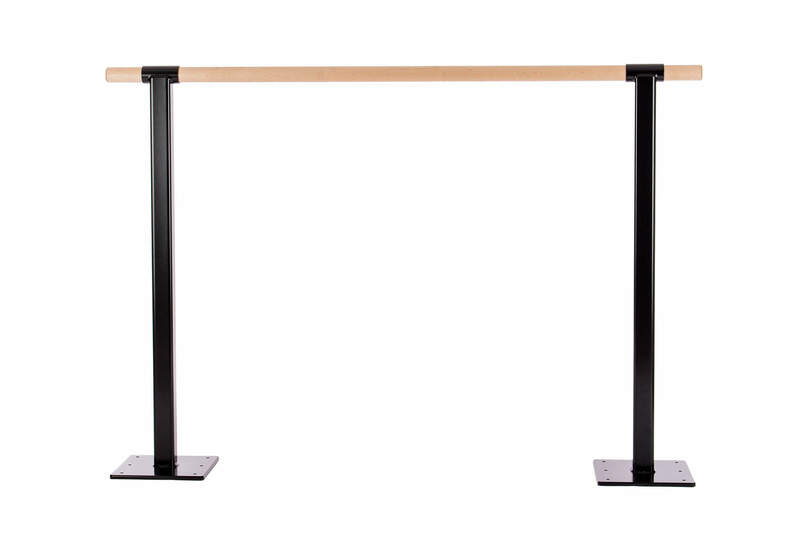 Designed to stand up to all your barre fitness requirements. 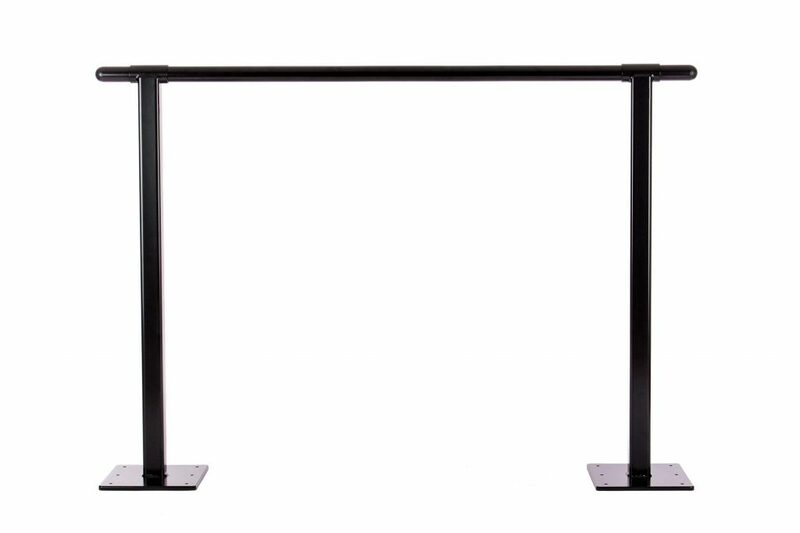 They are made of the same high-quality and durable aluminum and powder coated with a semi-gloss finish. The color options are Gray, Black or White. 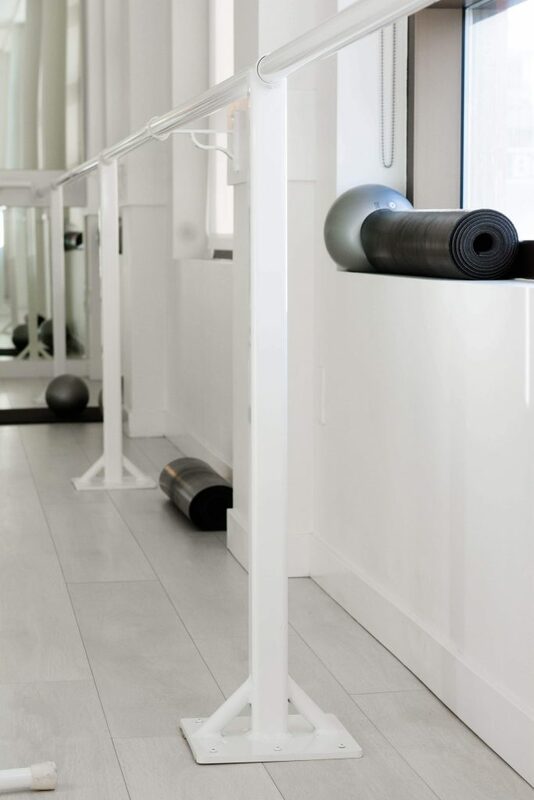 Space the Floor Mount Fitness Brackets 4’ apart for maximum stability. If you need assistance – we are here to help you.